Charity and The Basset Hounds! 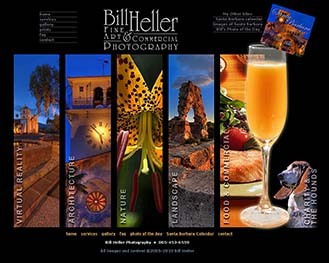 Welcome, to Bill Heller Photography. I am a photographer in Santa Barbara, California specializing in nature and close up fine art photography as well as Food and Restaurant commercial photography. 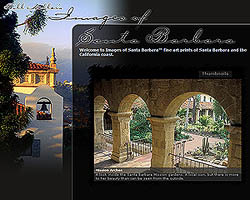 Be sure to visit my latest project Images of Santa Barbara, an online gallery of some of my favorite images of Santa Barbara and the Californian coast. I'm always adding new images, so be sure to check back often! And you'll soon be able to order prints or gift certificates right from the site! I became interested in photography at a very early age. Through the support of my incredible parents I was able to explore anything that my heart desired. However, it was not until about ten years ago that I started taking photographs on a more professional level. At that time I met my best friend who was able to share her formal education in photography and design with me. I started using Fuji Velvia and I got my first Canon AE-1, a combination which I still use for many of my images. Still, it has taken many years to hone my skills to a point where I was comfortable sharing my images. If you would like to contact me regarding matted prints or framed photos from one of my recent shows please feel free to call +1(805) 453-6559 or contact me here.